The price you found is 40% lower than this hotel's average rate of $187/night. 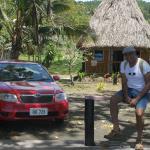 I don't know about everyone else but I really struggled to enjoy the resort style travel in Fiji. I don't want to play group vollyball and have my movements and entertainment restricted to the area of a resort. Thats not the type of travel I enjoy. SO Natalei Eco Lodge was an amazing experience! You are nestled in a tiny village right on the beach and you are literarily surrounded by village life, because the lodge is owned and run by the villagers! 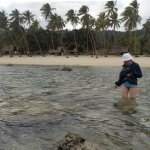 You slow down into Fiji time the longer you stay there, and there are so many things you can do, the staff were incredible and the villagers are there to guide you if you would like them to. 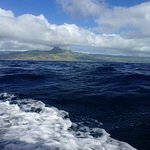 We went to moon reef and saw the spinner dolphins which was amazing, and climbed the mountain behind the village, and visited the waterfalls. The whole area is still recovering from the hurricanes in 2015/16, but I think thats even more of a reason to visit, every person spending money there is putting money back into the community. The lodge supports the maintenance and protection of the local ecology and marine protected areas, and has a low impact on the environment. I had a great time here and hope that many other people visit. The logde is slowly being rebuilt after Winston. Even if the rooms are basic, they are very comfortable. Lovely people do their best to ensure you a pleasant stay. Meals are more than excellent and copious. 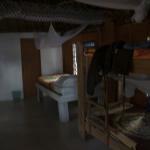 Price is 185 F$ for a night in a bure for 2 including fullboard (3 meals !!!). A night and a day are not enough to fully enjoy the place. The track between Korovou and Natalei can be used with a 2WD car. Many activities are proposed : dolphins, snorkeling, hikings, horse riding ... and yaqona drinking. It is better to call prior to arrival. Phone is 943 1787. Still recovering, but you should spend a day here! 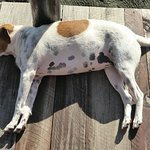 We traveled from Suva to the village for a girls day trip - what a delight it turned out to be! The village and eco lodge are still recovering, and as of our visit the end of April they still did not have any power. They are working hard on repairs and welcome anyone who want to come, day or night. We enjoyed a light breakfast, freshly prepared, We then took the boat out to see the spinner dolphins, which was followed by a swim at the reef. A leisurely trip back to shore, and lunch was ready for us - a full spread of Fijian delights! Local food certainly at its finest! The black sand beach is amazing and to stand and look in awe at what Winston did will make you so appreciative of all that they offer and the resiliency of the people and the dolphins. I highly recommend a trip out to this location. The lodge was hit by Winston one month ago and this what you can recognise at the very first moment when you arrive. The place looks amazing still, and the staff and the people from the village close by working hard to make the lodge shining again. Everyone is friendly and lovely, helpful and smiling at you. The cook will make the best food for you - fijian style! The village is on dirt road, good 40 mins drive from the tar road. 4x4 recommended - we just had a very heavy rain on the day when we left and I think our luck was that we hired a 4x4. The beach is black sand, very clean water. Please make sure if you go you are familiar with village tradition. Hidden in a secluded cove off the beaten track, nestled in the Fijian Village of Nataleira, the Natalei Eco lodge is a hidden gem and a place to chill in Fiji. 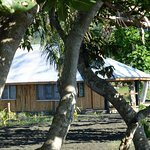 Situated on a beach front of rich volcanic black sand, the lodge offers modest accommodation for families, groups, Individuals and couples. The premise consists of eight bures (cabins) and a reception block which houses the lunch room, kitchen with an indoor and outdoor area. There is also a large hall, fully laid out to facilitate conferences and seminars and it can be turned into a dormitory if necessary. 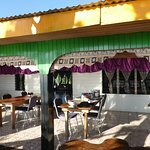 The picturesque outdoor dining area is a door step from the beach where you can enjoy meals cooked by the village women while listening to the sweet sounds sound of the ocean. Getting there was a bit of a drama as I overshot the turn off by 40km. Information is scarce in Fiji about tourist attractions so it might be useful to write a bit about getting there: Taking off from Suva on Kings Road, a turn at the Rewa Bridge takes you to the town of Nausori. Driving through Nasouri town, about 30km ahead is Koro Town. Right turn at Koro Town, just after the Community Police Post the road sign says to QVS (Queen Victoria School}. The distance is about 20km to QVS and then it is unsealed road of 13km to the lodge. The facilities at the lodge are very basic. There is no hot water, air-conditioning or TV. What it lacks in modern creature comforts, the eco lodge provides for in all the natural contentment Mother Nature has to offer. 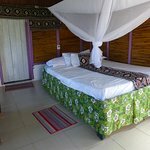 If you leave the bure doors open, the gentle sound of the ocean graciously accompanied by the sea breeze will send you to sleep like a log. Activities include Spinner Dolphin watching and snorkeling, horse riding and a hike to the water fall. The boat ride to the dolphin watch area was a bit wet and wild but the dolphins attended in abundance although when I was there, they were not in a spinning mood. Some of the guests snorkeled in near the dolphin area. Back at the lodge the dinner was being set up and there was a campfire on the beach. The only other guests at the lodge, a family group joined me in a war dance round the fire. I slept with all the windows and doors open to enjoy the sea breeze and sound. Next morning, after breakfast, was an hour hike though the pine trees to the falls. 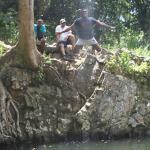 The other guests joined me in diving into the little pool, a bottom of trickle of water from the catchment dam. It was hardly a waterfall but the walk was worth the disappointment. Way down river the water was a lot faster. After lunch I headed back to Suva and reality. 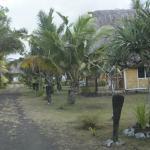 Eco Lodge is not one of those luxury resorts that is common in Fiji. It is a quiet sanctuary by the sea where you can enjoy the serenity of nature and forget your rat race infested town life. The serenity of its surroundings makes the visitor never want to leave. Meals are provided with the accommodation price. The food although is adequate needs a little spicing up. Visitors need to bring their own snacks and drinks if they want anything extra after meals. Alcohol is also not available on site but may be consumed if it is brought in. The lodge is managed and staffed by the Nataleira Village Community and the proceeds are used for community development and upkeep, so there is another important reason to spend some time at the Natalei Lodge.